Dragon Ball Super ended back in March of this year. Although the English dub and the Manga are still going strong. There is just something great about new stuff. So this news came as great during this time. The popular Japanese arcade card Super Dragon Ball Heroes getting anime of its own. This news came out of nowhere but I am not complaining. Fans have been yearning for Dragon Ball Heroes or Super Dragon Ball Heroes as it now goes by to get an anime. Yonkou Production confirmed this on their Twitter account that it is indeed happening. The release date of the series has been confirmed as well. According to the tweet by Yonkou Productions, The first episode's prescreening will take place on 1 July 2019 at Ion Lake Town, Japan. The Story will take place in the reality set by the game, Super Dragon Ball Heroes. 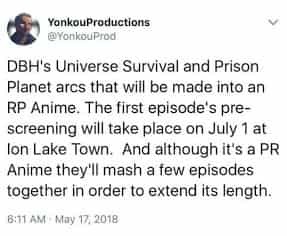 The story of the anime will cover the Universe Survival saga and the Prison Planet saga. Universal Survival Saga is similar to the one that happened in the anime Dragon Ball Super. You can read more about them here. Prison Planet Saga is an original saga from the game. It is also the first saga where Super Saiyan 4 Xeno Goku goes up against Super Saiyan Blue Goku(the future of the main timeline version of Goku). Where Goku with Super Saiyan Blue is able to beat Xeno Goku Super Saiyan 4. and features a new set of special Dragon Balls and the return of Future Trunks and Mai. at the end of the day, it is still just a promotional anime for an arcade game. Also, it doesn't really tie into any plotlines from the main series. Will this be a good series during the break while the movie is in Production? Yes. Will I enjoy it like Crazy? Maybe. So if you enjoyed this read and are a huge Dragon Ball fan. 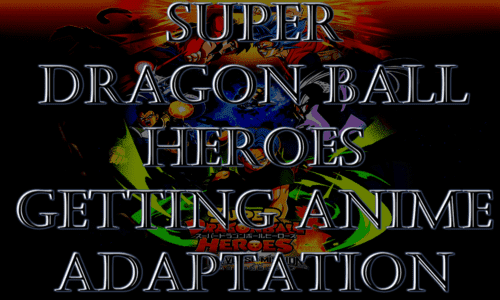 Then be sure to share this article with your friends on Social Media to support SSJPRO Dragon Ball.